Bean and I went sample saleing today. She needs a dress for a formal occassion; I don’t need anything but we always have fun shopping together, something we haven’t done in a long time. The two things I most love? The pink and the blue Marc Jacobs dresses. It’s hard to find a good dress that’s pretty enough for a date, not so sweet that you couldn’t wear it to a work lunch with heels and casual enough that you could throw on some Bensimons and be done with it. Oh, and packable. I guess that’s a lot of criteria for a dress. Maybe that’s why they’re so hard to find. 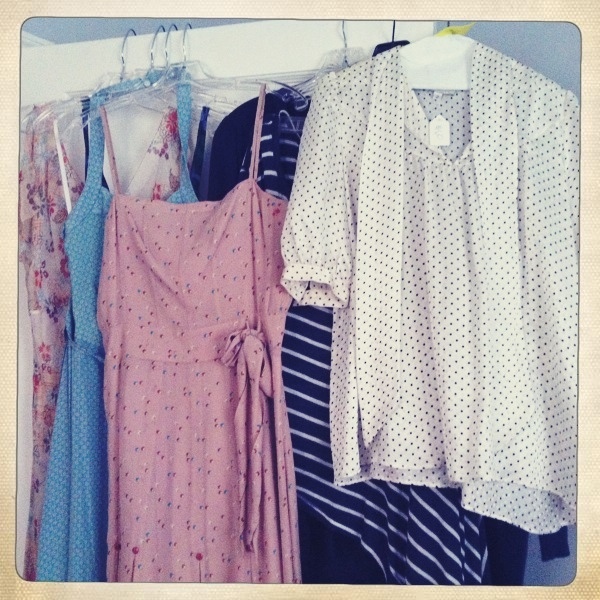 This entry was posted in Doncha Love and tagged clothing, friends, shopping. Bookmark the permalink.